Americans love their Jeeps, Trucks and ATV’s and the lifestyle that accompanies them. 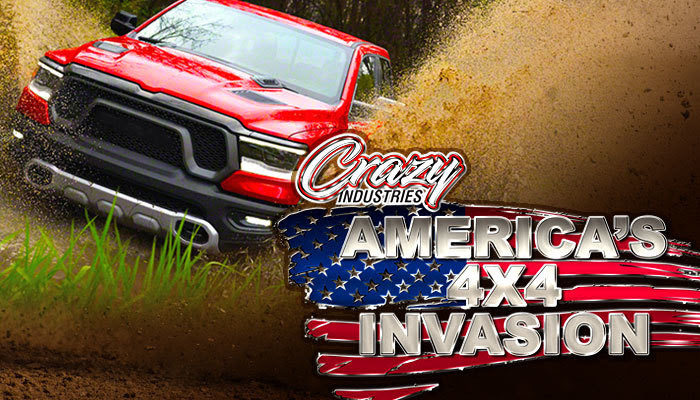 Each episode in “America’s 4X4 Invasion” series will highlight the unique aspects of this personalized culture. Experience some of the most beautiful country and wildlife in America from Cades Cove, TN to Jasper, GA, and more. Whether you prefer scenic rides, mountains, rocks, mud or snow, we’ll show you the do’s and don’ts for Trucks, Jeeps, and ATV’s and our cameras will bring it all to your television screen. Enjoy the camping, bonfires and learn the advantages to being part of a riding club. Each week we’ll help you diagnose problems with your vehicle and install the correct products to solve the problem.